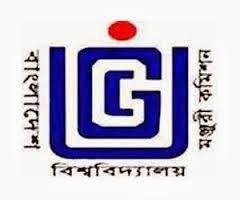 The University Grants Commission (UGC) recently published its latest annual report containing the recommendations and its chairman Professor AK Azad Chowdhury handed over a copy of the report to the universities' chancellor, President Abdul Hamid. The regulator identified that the number of unemployed graduates has been increasing in the country in the absence of quality school education. The university's grants commission recommended the government to formulate separate pay scale for the university teachers to attract the meritorious students into teaching profession. The commission found that the quality of education under the National University (NU), where there are more than 0.3 million students was in a sorry sate. "More qualified teachers should be employed in the colleges under the National University as these university colleges have been facing acute teachers' crisis to support the schooling standard", the report added. The universities' regulator also thinks, the public universities should increase its existing academic, residential and other charges to support the growing schooling expenditures. However, the commission advised the authorities concerned to increase the existing merit-based scholarships for the brilliant but poor students to support their education financially. "Although the country's higher education has been expanding rapidly, but the desired quality couldn't be ensured in these institutions resulting in rise in the brain-drain and jobless", the report added. The regulatory body emphasized on the improvement of the of the National University education that enrolled more than 70 percent students of the country's tertiary level. It warned saying that the nation will suffer further if the identified challenges couldn't be mitigated immediately. The commission suggested immediate revisiting the current academic syllabus of the largest chain university and to bring necessary modification in line with the market need. "Now the power of the university's regulator is limited to monitoring activities of the country's universities effectively", the UGC chairman Professor Chowdhury said.